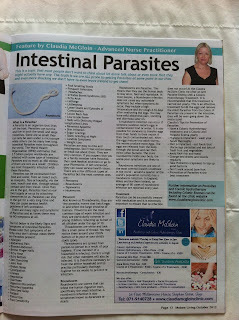 Editorial by Claudia McGloin printed in October 2012 edition of Mature Living Magazine. 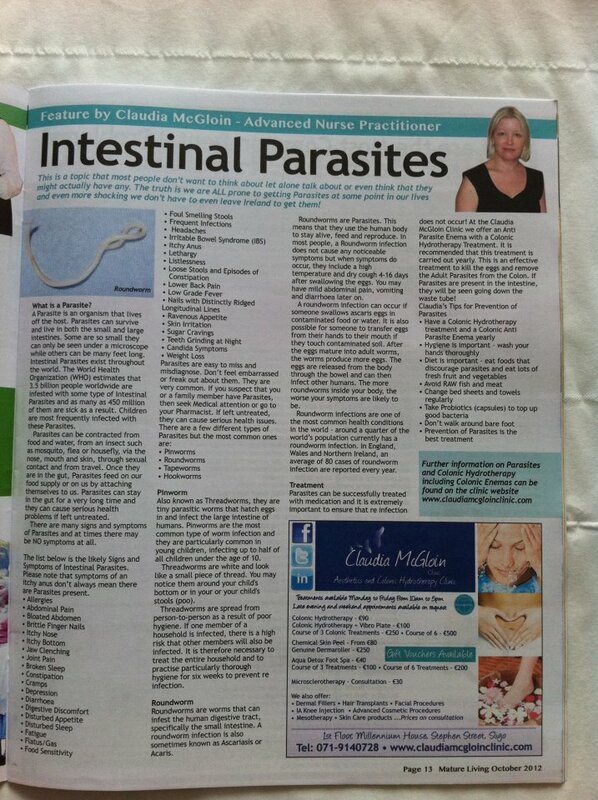 Editorial in this weeks The Sligo Champion newspaper. Do you want to get some Non Surgical Cosmetic Treatments for the festive season but can't afford to pay for them in one go? Would you like to be able to treat a loved one or a friend to a treatment or skin care products but would like to be able to save for them? Well now you can. 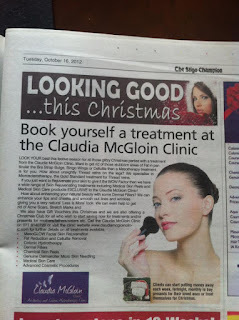 The Claudia McGloin Clinic have introduced CHRISTMAS CLUB to the clinic exclusively this year. 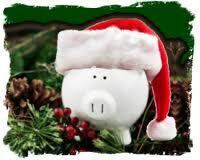 You can pay as much or as little as you want weekly, fortnightly or monthly to help you get those Christmas presents. All you need to do is organise what treatments and/or skin care products you want to purchase and pay it over the next few weeks. 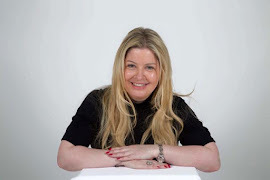 Once the treatment has been paid for in full, you will then get a Gift Voucher for that treatment or if it is skin care products then you will get those. 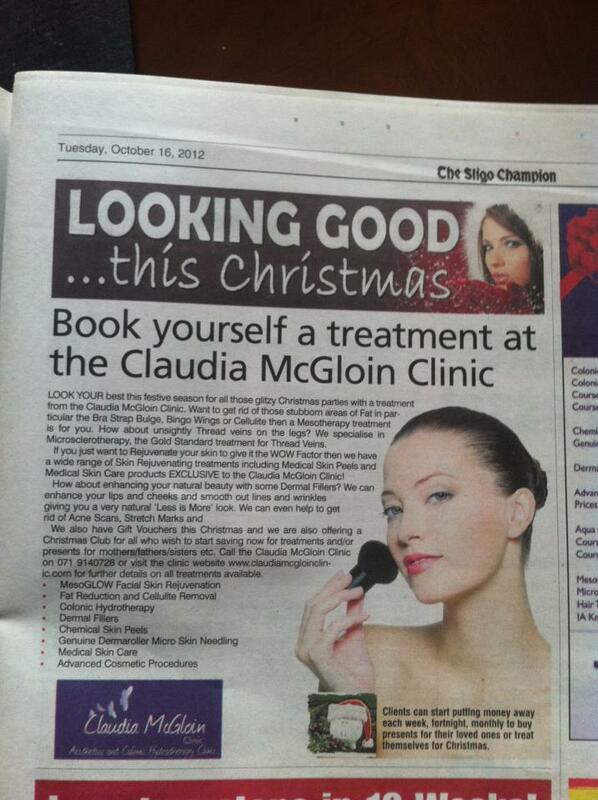 * ALL treatments and/or skin care products MUST be decided on prior to the start of Christmas Club. * Christmas Club is only up until 24th December 2012. * ALL treatments and skin care products MUST be paid for in full before Gift Vouchers are given. * Any clinic offers or discounts are NOT included in the Christmas Club. * Gift Vouchers are NOT redeemable for other treatments or skin care products. * Refunds are NOT permitted.